We are constantly attending events created by other interested parties and will shortly be advertising a unique event of our own (watch this space!). Call back regularly to keep up to date with InspireSPACE Events. The Big Toddle (Space theme) in Aid of Dr. Barnardo’s Charity. Water rocket launches, space food. Craft: painting Saturn and its rings. 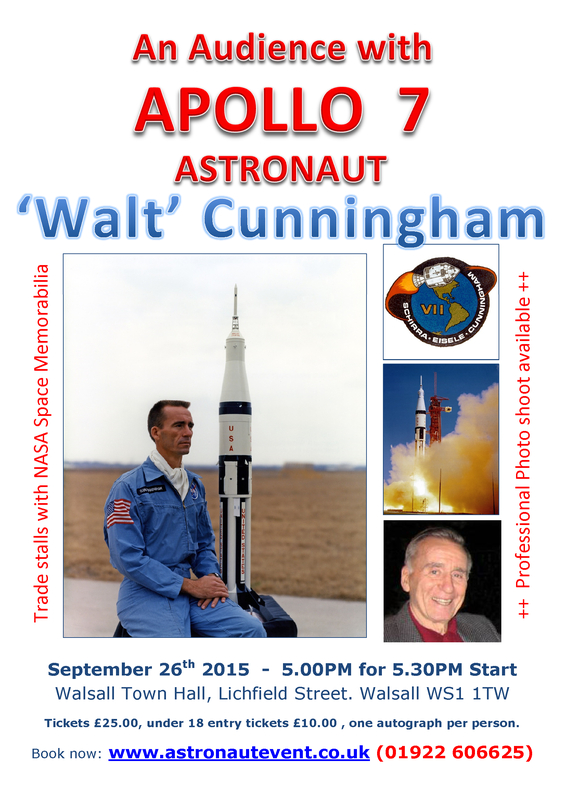 Water rocket launches, space food, ‘Living in Space’ Presentation. Competition for the highest rocket flight. 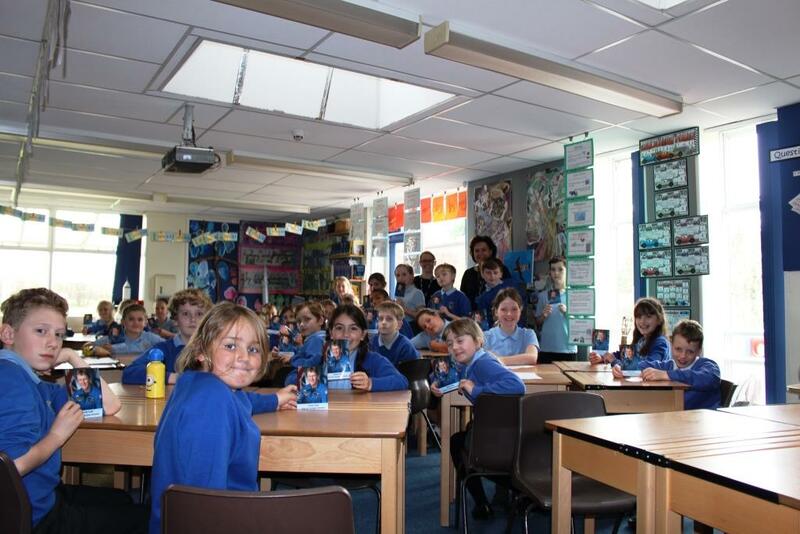 Had a day off in lieu on Monday and spent a great time with Year 5 at Hollyfield school in Sutton Coldfield. 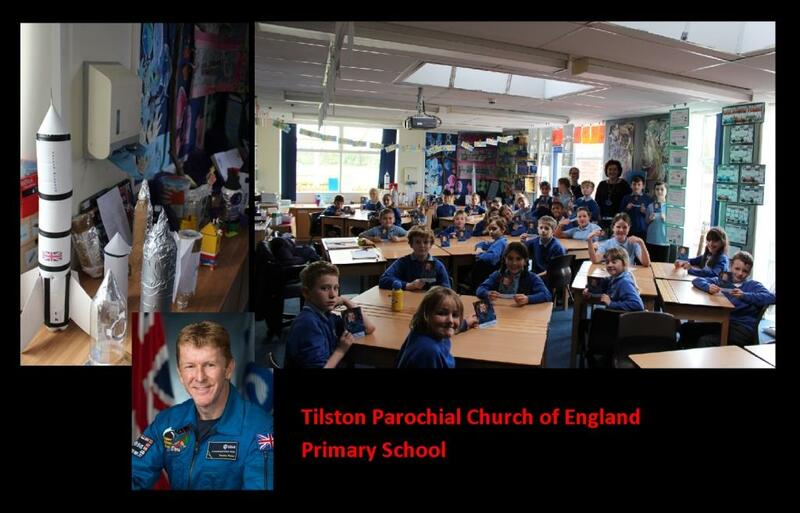 Delivered a powerpoint presentation with life aboard the ISS video clips, water rockets and pyro rocket demonstration (all 60 kids got to launch a water rocket) displays and some flown space items and Sokol gloves too. Finished off with a prize for the best launch/landing with a rocket on the school roof. 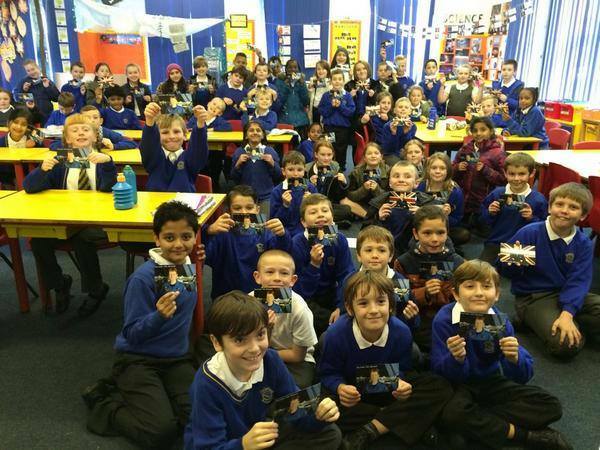 A class photo with all them presented holding a photo of Tim Peake rounded it all off. Space robots display with the robot arm proving very popular, demonstration, pop up stands, astronaut display boards. Space robots display with the robot arm again proving very popular, demonstration, pop up stands, astronaut display boards. 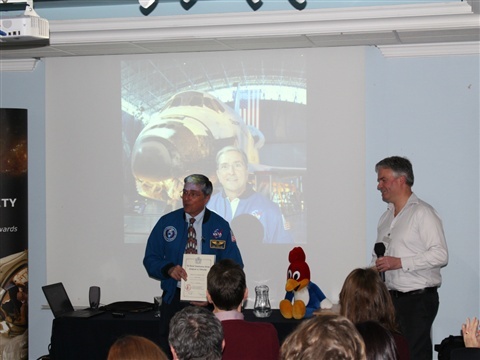 We are proud to have hosted former NASA Apollo 7 Astronaut for two great events here in Walsall in the West Midlands and a day at the National Space Centre Leicester. 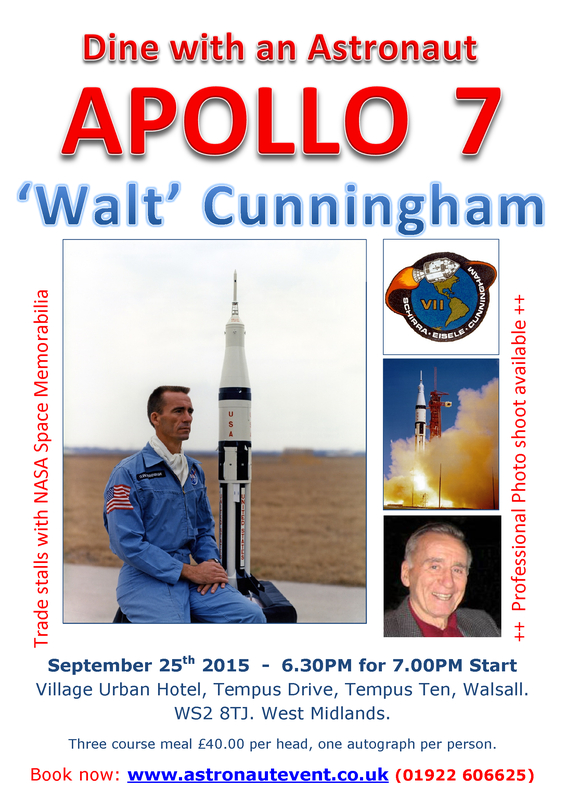 Audience with Apollo 7 Astronaut, Walsall Town Hall. Malpas, Cheshire 11th November 2015. 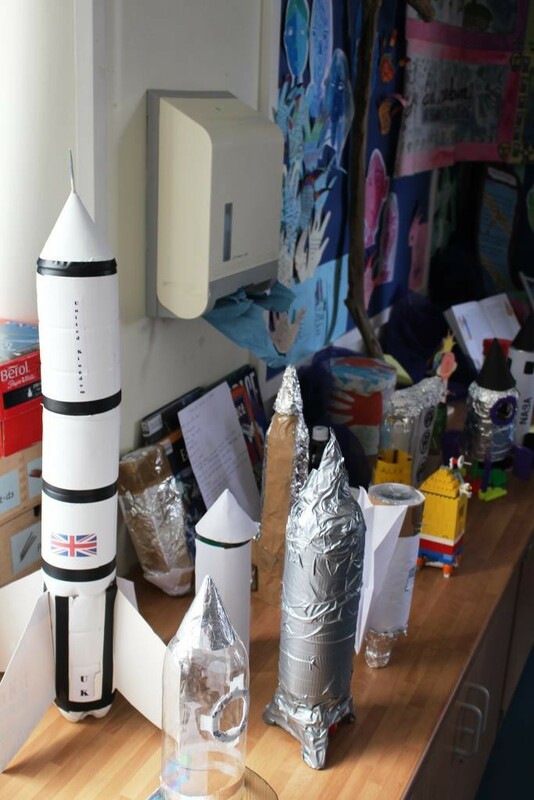 Presentation on rocketry, space shuttle and Life in Space aboard the International Space Station, water rockets and one successful launch of our 2.1m rocket with promotion of the Tim Peake ‘Principa’ mission for good measure. 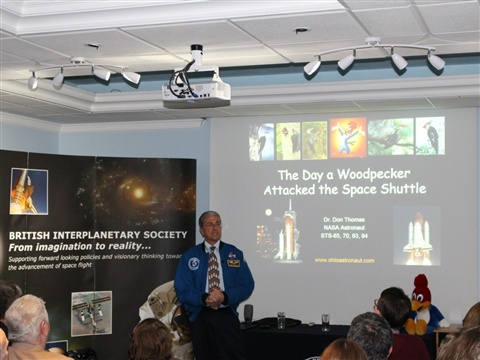 Simple science demonstrations and space food were also part of a full morning at the school. With the assistance of all of the staff at the school years 2/3 and years 4/5 participated in the event. Visit the school blog for event photographs and a few additional images featured below. 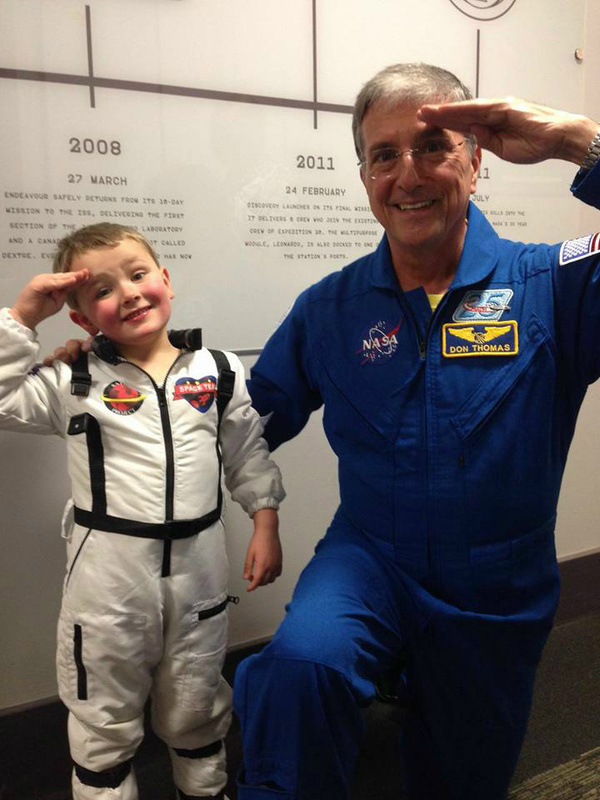 Science demonstrations, water rocket launches, space food for pre-schoolers. Photo courtesy of the Ashbourne News Telegraph. 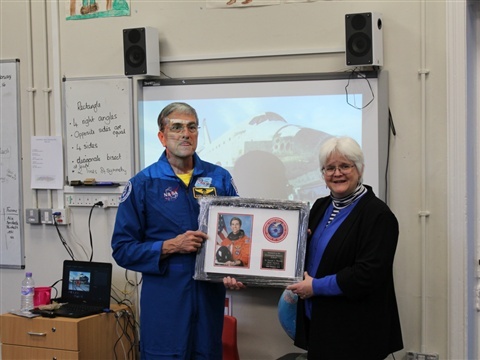 Brassington Primary School pupils captivated by astronaut. 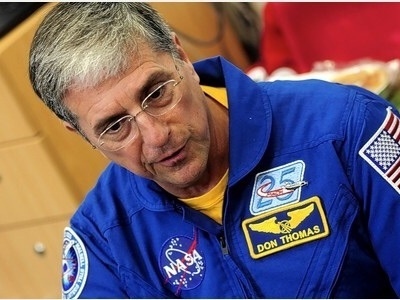 Photo courtesy Ashbourne News Telegraph.Astronaut Dr Don Thomas, right, with pupil Alex Martin. 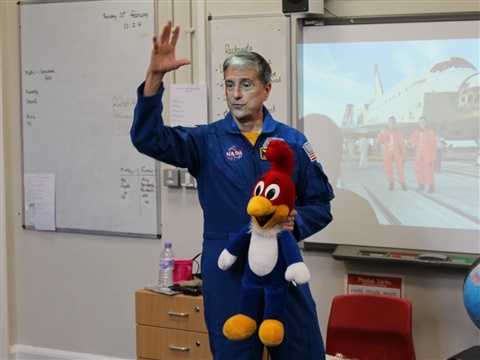 We were invited along and provided some space activities after the toddle around the school playing field. 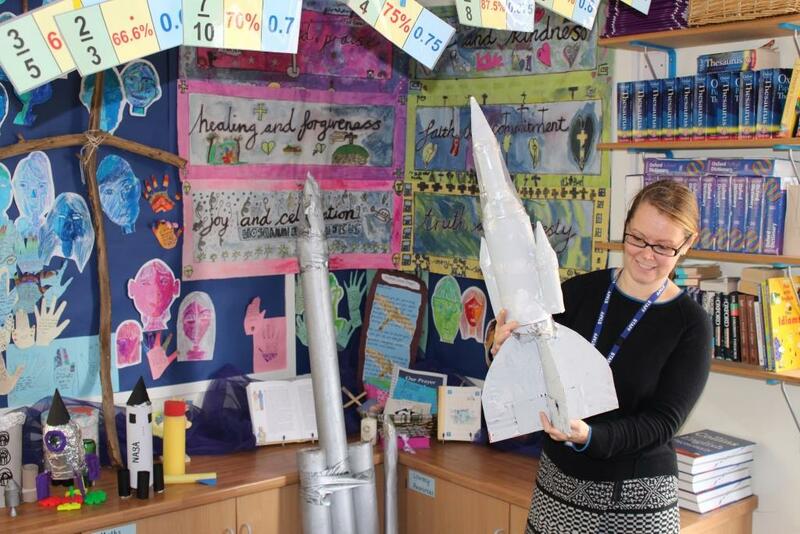 We kept them entertained with water rocket launches, space ice cream and some space themed craft work. If you are running an event invite us along (we provide our services and materials for free).